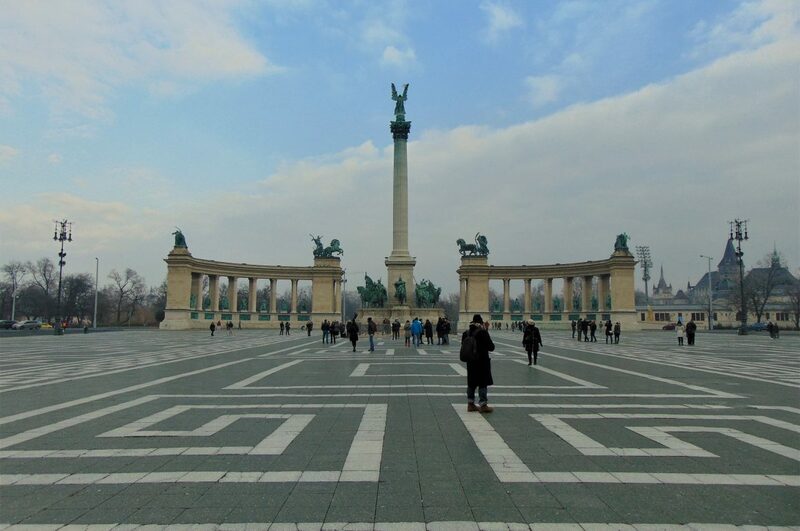 Not too long ago I was fortunate enough to return to one of my favorite cities in Europe and the World: Budapest! It had been a while since my last visit; back then, I liked the city so much I ended up staying for two weeks. Luckily, things haven’t changed that much since then, and Budapest is still the capital of cool for a number of reasons. What exactly do I like about the city and the country? Hungary is a European country through and through. However, look a little more carefully and you will understand why Hungarians are so different to their neighbors. 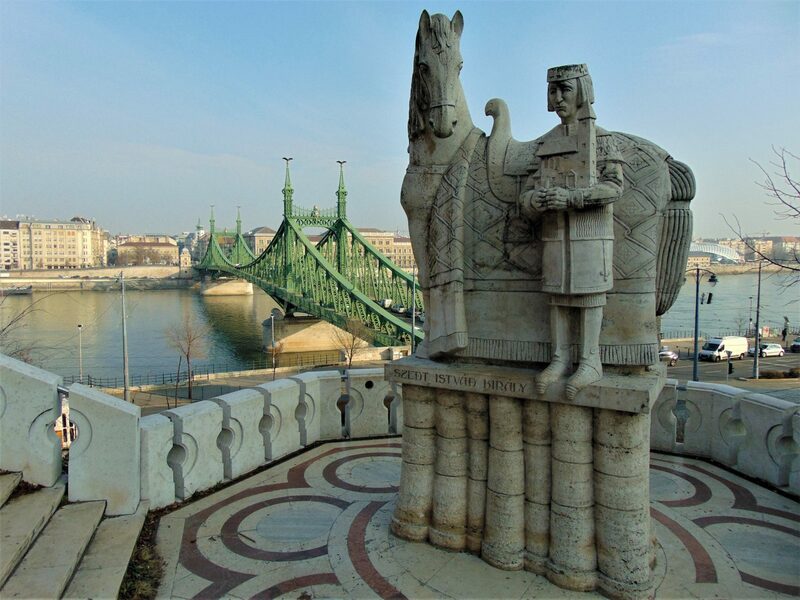 Hungary traces its origins to the conquest of the Carpathian Basin around the year 900 by the seven Magyar (Hungarian) tribes. However, the Magyars originally came from Central Asia and had a much different culture than the peoples of the areas they conquered. 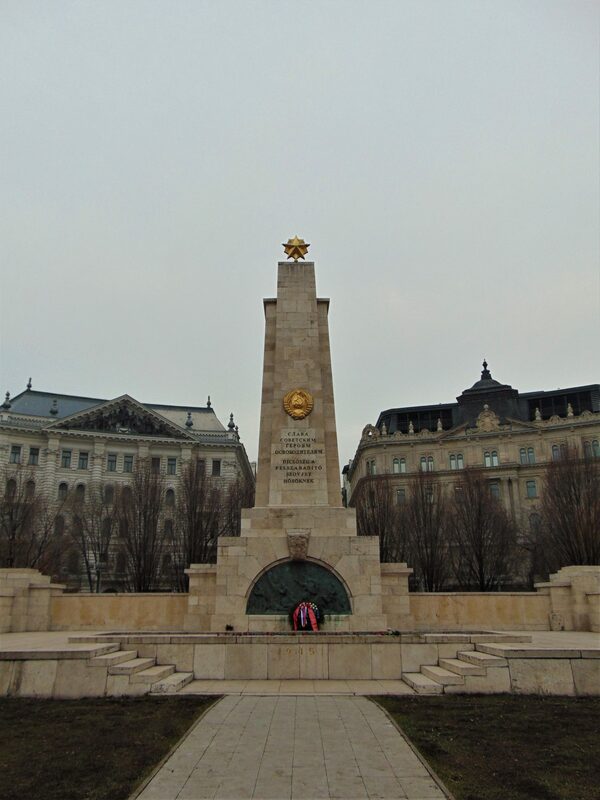 Take a look at their symbols, such as the bird Turul, or their founding fathers as depicted at Heroes’ Square. The most fascinating thing is their language: Hungarian is not an Indo-European but a Finno-Ugric language, meaning it’s closest relatives in Europe and Finnish and Estonian—two languages whose grammar likewise have nothing in common with that of any other European languages. There is even an Old Hungarian script, which is still in use in some communities. All that makes the country beyond fascinating to me. As you know, I live in Germany. As a Mexican (that is, as somebody that’s used to and appreciates strong flavors), I get a bit bored at times by the food here. 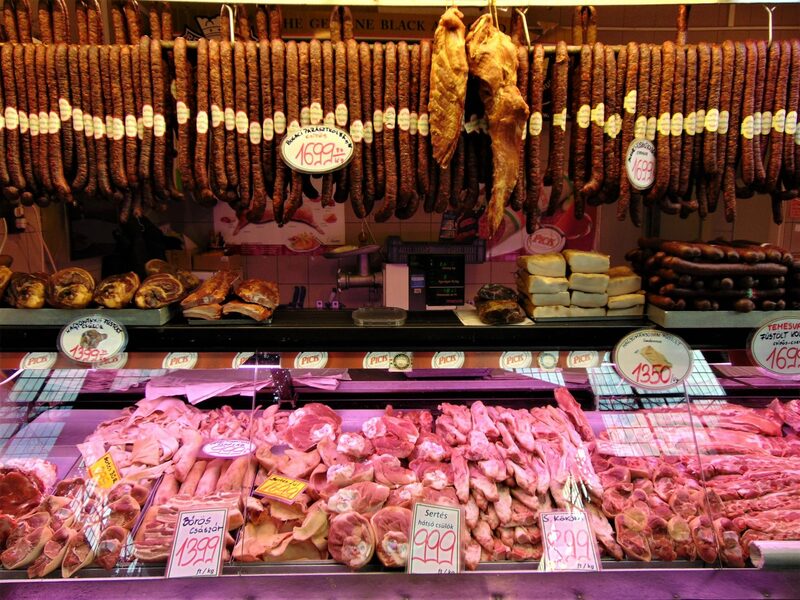 Don’t get me wrong, I love some good Käsespätzle and Schweinebraten and whatever, but all that stuff has nothing on Hungary’s powerful and hearty cuisine. 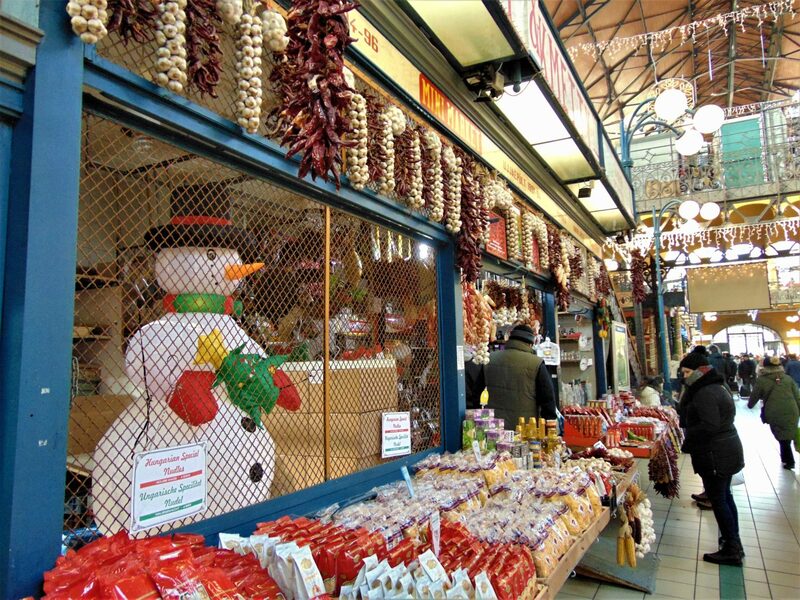 The most important thing is that Hungarians eat spicy. Spicier than the rest. Csipos! Should you get fast food in Hungary, you can assume they will simply put hot sauce on it without asking you. Traditional Hungarian dishes are hearty; the most famous dish is Goulash. This dish has been adapted for German and Austrian palates, but you can get the real deal here. Remember to wash it down with a few shots of Pálinka. When I am in Hungary I always buy jars of Eros Pista, which is basically just crushed paprika but is oh so good. Last time I was there I brought some jars with me to Hamburg, but alas one only lasts me for a about a week. 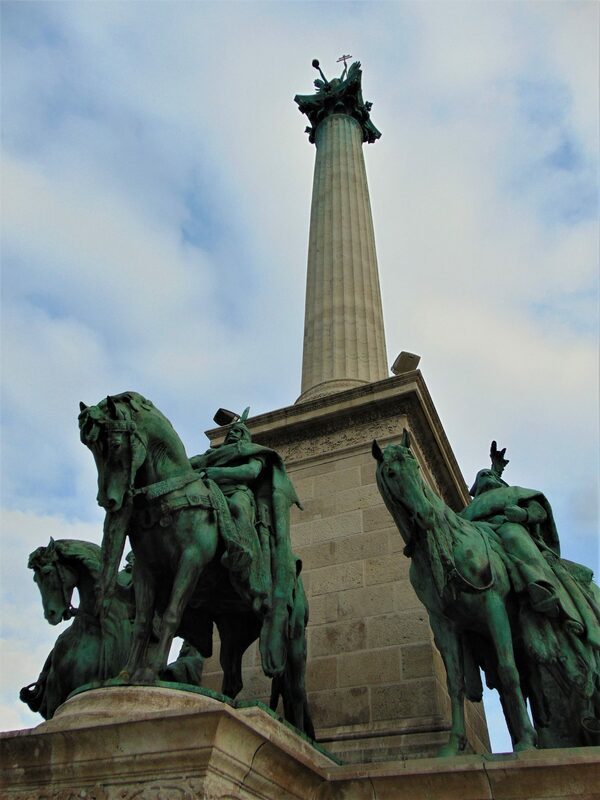 Hungary’s modern history is tragic and complex. After World War I, the country was dismembered under the terms of the Treaty of Trianon, thereby losing almost three quarters of its pre-war territory. 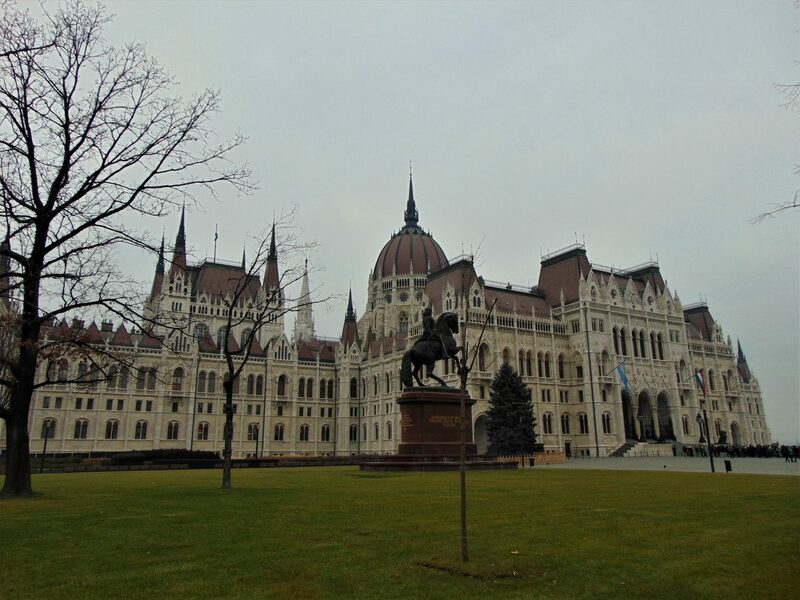 Budapest saw heavy fighting in the final days of World War II, and fell under Communism afterward. The streets of Budapest witnessed the Hungarian Revolution in 1956, an open uprising against Communism. In Budapest, the most unassuming buildings will still bear the scars left by the German and Soviet artillery. 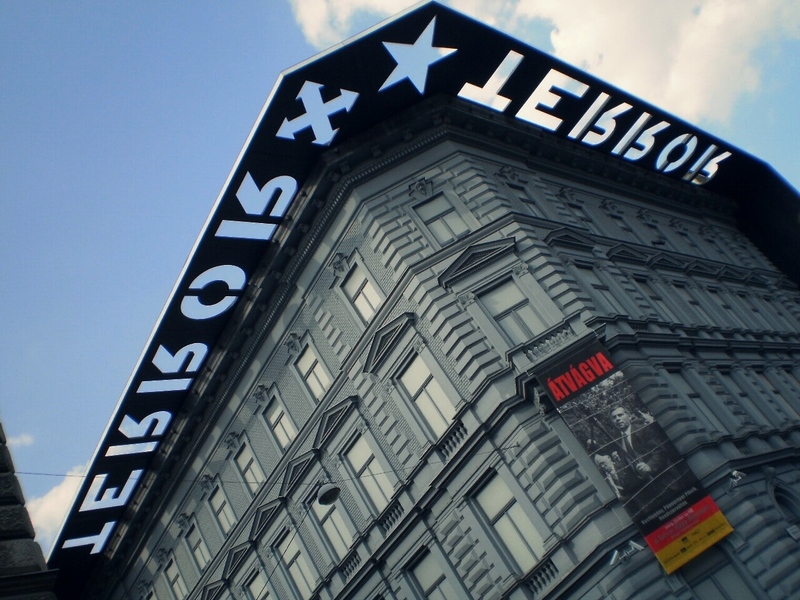 These tragic episodes of Hungarian history can be revisited in the House of Terror Museum, which documents the tribulations of the 20th century under the collaborationist Arrow Cross Party, the Nazis, and later the ever-vigilant ÁVH (Communist Secret Police). I love ruins, and I love pubs. A ruined building converted into a pub is an urbexer’s dream come true, and they are a thing in Budapest. Ruin pubs were established in decaying buildings, and offer cheap drinks and a great atmosphere. Ruin pubs are known for their cheap and quirky decorations. To be fair though, ruin pubs are a huge tourist attraction (and for a good reason), so a lot of them have been restored and might have lost a bit of that edge. However, these pubs are still frequented by tourists and locals of all ages alike. 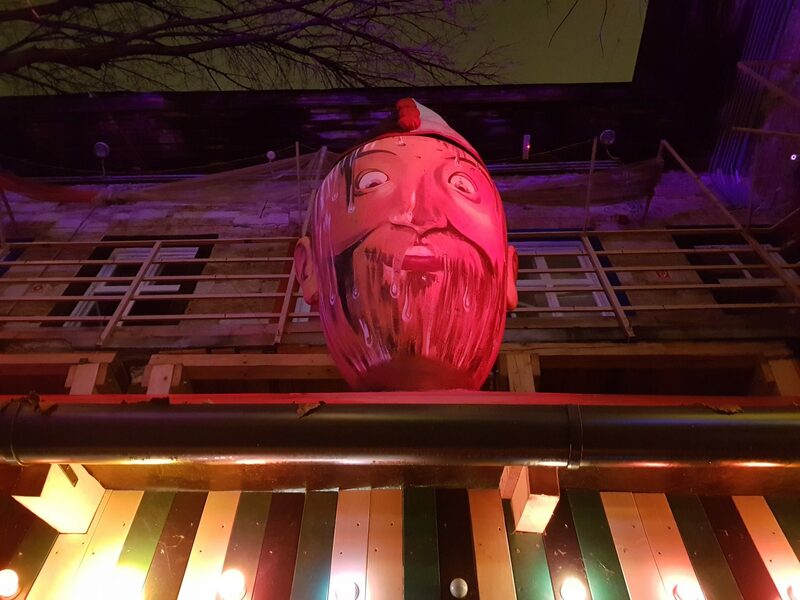 Last time I was in Budapest, my friends and I went to Ellato Kert, a Mexican-themed ruin pub in the city’s old Jewish Quarter that was recommended to me by a local. 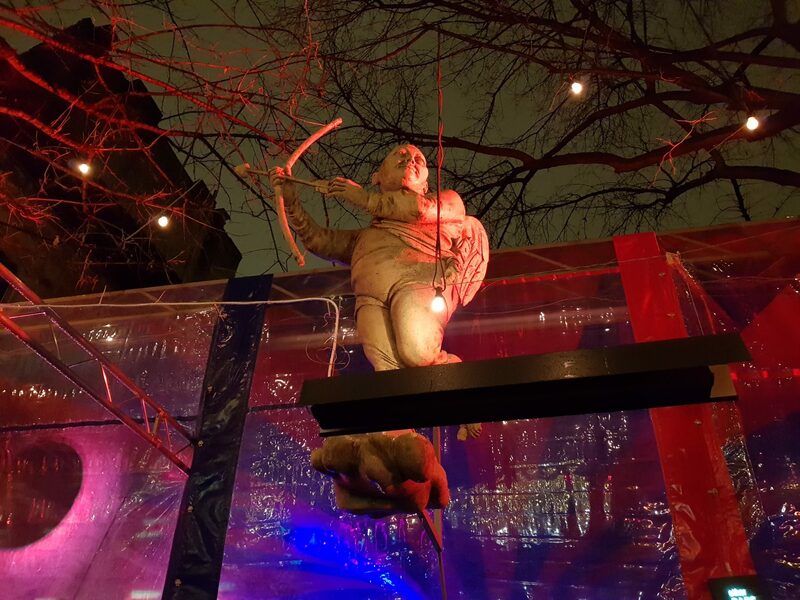 My friends and I then concluded that that was the kind of pub you could have seen in Berlin 20 years ago. Afterward, we went to a basement show in Robot. What I didn’t know is that Robot is just one of several places in a complex of ruin pubs called Fogas Ház. This place was just incredible, and had some of the weirdest decorations I’ve ever seen; it was almost psychedelic, and you could get from one pub to the other via a massive yard. Plus, the band that played that night, a local Sludge act named Torn From Earth, was very good! The Budapest Metro is amazing. 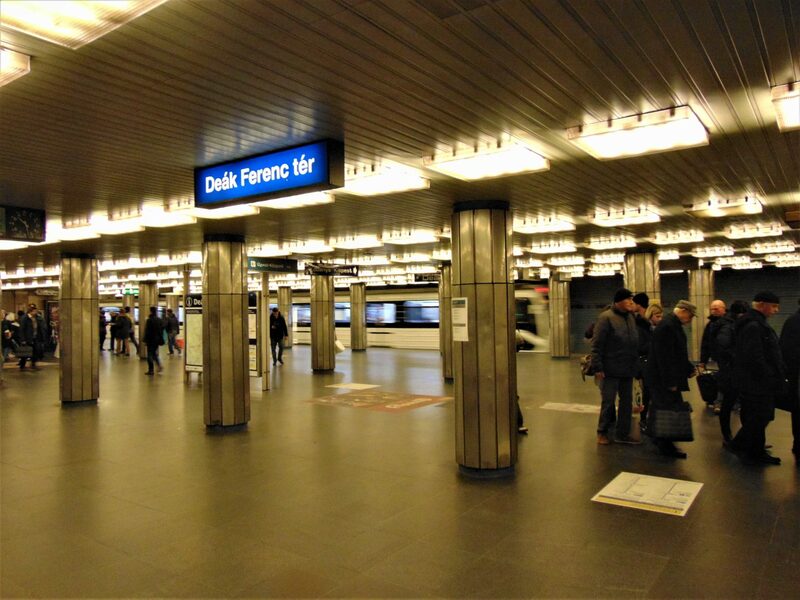 Though I usually prefer to walk, whenever I am in Budapest I make it a point to take the subway as often as possible. It is the oldest subway system in Continental Europe, and Line 1 is even inscribed as a UNESCO site. The Budapest Metro is so iconic that it was even immortalized in an excellent Dark Comedy called Kontroll (incidentally one of my favorite movies). 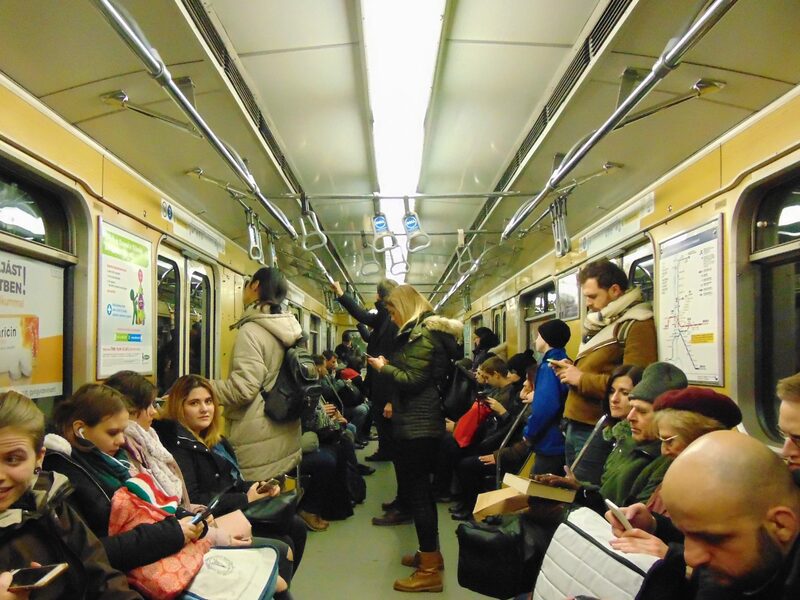 The movie is about ticket inspectors, which are a common sight in the Budapest Metro. While its stations might not be as flashy as in some other countries, they have a lot of charm and are great spots for street photography. 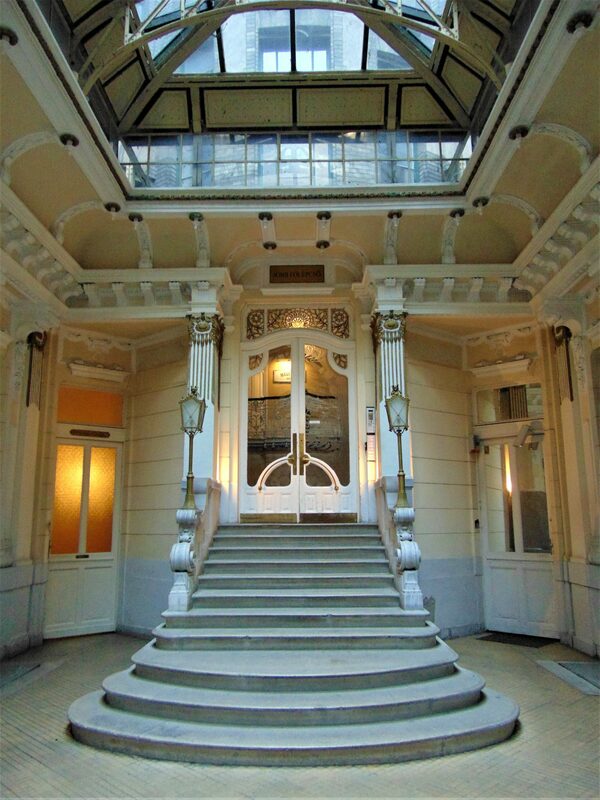 There are obviously many other reasons to love Budapest and Hungary, such as the architecture. I mean, forget everywhere you’ve been: in terms of architecture, Budapest wins. 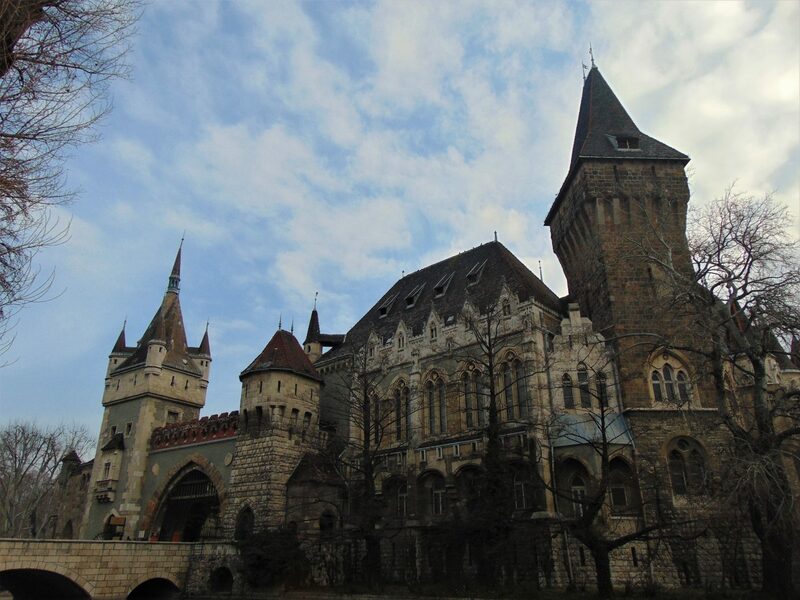 Well sure, it’s not a competition, but if it were… Budapest is just grandiose. It’s buildings are massive and their facades so elaborate that it’s not unlikely you’d suffer an attack of Stendhal’s syndrome while walking around. 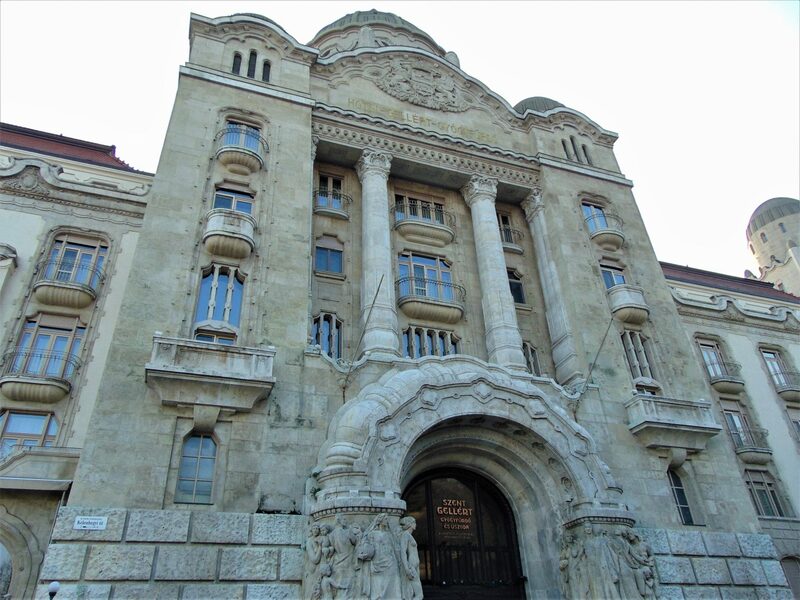 The most impressive for me this time around was the facade of the Gellert Hotel. It’s just monstrous. And what about the Parliament!? The first building that impressed me this time around was incidentally my hostel (pictured above), which was also centrally located and very affordable. If you’re planning on visiting the city I definitely recommend you stay at Maverick Suites (oh, and just in case you’re wondering: no, that’s not a sponsored link and I paid in full for my stay there). I’m talking about the statue of Anonymus (sic), or Master P, though I could easily be talking about the statues on Heroes’ Square. Anonymus was the chronicler who wrote the Gesta Hungarorum (Deeds of the Hungarians) sometime in the early 13th century. The book, written in Latin, narrates the conquest of the Carpathian basin by the Hungarians as well as their origins. 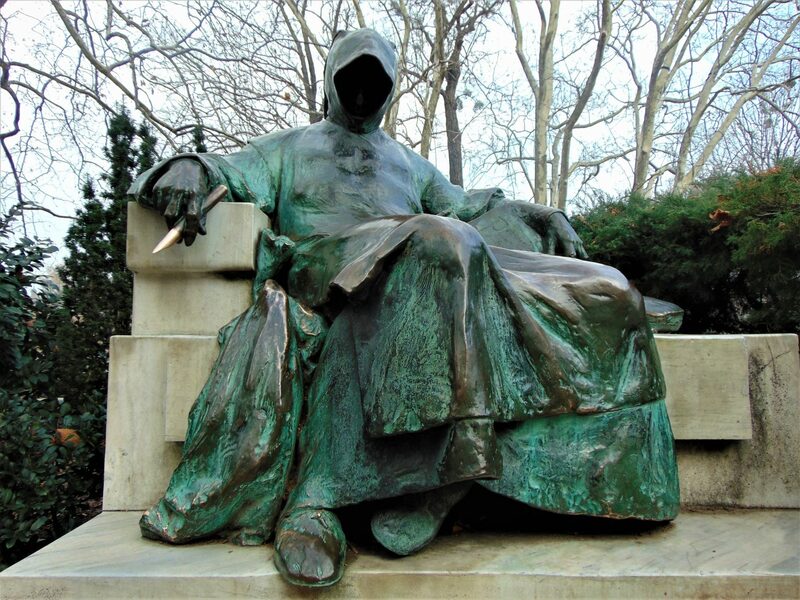 This awesome and very Metal statue can be found in Vajdahunyad castle in central Budapest. Also, legend has it that anybody who rubs Anonymus’ pen is blessed with inspiration. There you have it! Have you been to Budapest? Share your impressions with me in the comments below!